We value communication at A.B. Systems, Inc. We view it as our duty to keep our current and potential clients informed. On the job, we do that by maintaining consistent and open contact about your project. Off the job, we update this page with company news, the latest projects, and more. This way you are are able to keep apprised of what’s going on with A.B. Systems, Inc. before, during, and after your work with them. To see past project progress and articles, visit our archives! With the new year comes new renovations to your commercial offices with the help of A.B. Systems. Give us a call for more information! Where should you start with budgeting and planning your next commercial construction project in Mankato, MN? Turn to A.B. Systems Inc. for help with through the process. Call today for more! See why a design/build is the most cost efficient way to get your building finished in time with A.B. Systems Inc. Give us a call to get started today. See how you can get higher quality builds & save money with design/build from A.B. Systems Inc. 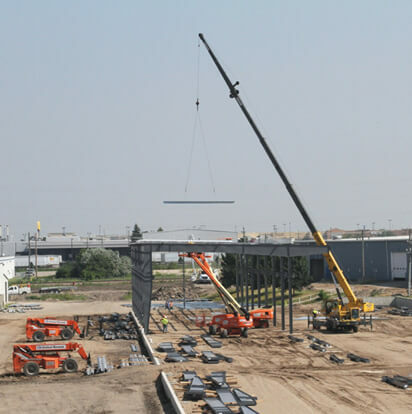 Build up your new facility in Mankato, MN today with our help! If you need a renovation on your commercial business but don't want to shut down operations, come to A.B. Systems in Rochester, MN for smooth renovation services. Give your business the successful exterior it deserves with a commercial construction company that can match your needs. Call A.B. Systems for a consultation today at 507-288-9397. When you consider renovating your commercial space, you may be wondering about the benefits of making a costly investment. It can be daunting to think of the months of displacement while the construction takes place, but itâ? ?ll be worth it in the end. For your business to grow, change must happen. Here are just a few benefits of taking the leap with A.B. Systems with your commercial build out or remodel. See why a design-build based project is what you need for your next construction build. 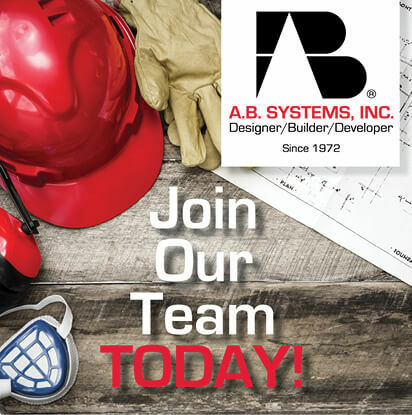 AB Systems in Rochester, MN knows how to help you from start to finish. See why you should come to us for your next project. At A.B. Systems, we employ the design/build method of delivery as opposed to the traditional design/bid/build method. We find that it is a much better system all around, and our happy clients agree. Here are the main reasons we use it for new construction in Rochester, MN. Is it Time to Renovate Your Commercial Property in Mankato, MN? When your building is wearing down, instead of rebuilding or letting it crumple, contact A.B. Systems to renovate your commercial property in Mankato, MN. Don't let your next additions and remodels of your commercial business become the next horror story. Contact A. B. Systems in Rochester, MN for help today. A.B. Systems, Inc. is looking for new talent to join their team. Interested? Apply today!